It’s 2007, and I was in the process of purchasing my father’s 1998 Spectra Mica Blue Lexus GS400. This particular vehicle was one of the first to ever roll off the showroom floor when the 2nd generation GS was originally introduced, and also was the means of transportation for every one of my Prom / Homecoming dates. To say this car had history would be a gross understatement. Once the nostalgia wore off a bit, it was time to consider what every auto-enthusiast must… modifications. The natural course at the time was to swap in the coveted 2JZ-GTE, but the “speed-demon” in me had been asleep for years now with no real intention of awakening out of its slumber. Progression would tell you that a focus on styling is the alternative approach, but what? Then one day, cruising through depths of the Internet, I stumbled upon David Nguyen’s VIPstyled Infiniti Q45 and everything changed. VIP styling was popularized in Japan back in the early 90’s by a gentleman named Takahiro Taketomi, who later went on to create the tuning company Junction Produce. He is on record stating that the styling was originally derived from the Japanese Mafia, or Yakuza. The parameters of the styling are based around specific Japanese big body platforms from Lexus and Infiniti, and acquire an aggressive nature in all aspects. From the wide / low-offset wheels that hug the fenders, to the custom suspension systems built for driving centimeters off the ground, to the hand molded body kits, VIP styling is not for the faint at heart. David Nguyen and Yuya Sano are the wizards behind VIP Modular Wheels. Along with individuals like John Liwanag of vipstylecars.com, they have helped give the VIP culture accessibility stateside. I’m not one to be “star struck” but when I had the opportunity to meet all these guys at WekFest in 2010, that’s exactly what happened. What’s more is that they were all incredibly down to Earth. No pretension associated with their internet-famous car builds. Immediately I knew that these guys would become good friends. Andrew and I were cruising down from Sacramento to Los Angeles after Stance of the Union, and I wanted to stop in at VIP Modular and let Andrew meet Dave, Yuya and Anthony (VIP's Project Manager). Just so happened that we ended up talking about the beginning of VIP Modular and how it came about. Back in 2004, Dave was operating VIP Motorsports, which was a distributor for various premium parts companies, while Yuya was working for one of the parts company’s that sold to Dave. While 3-piece wheel companies were nothing new, few offered the quality that their price commanded. Fed up with paying premium prices for sub-par product, Dave began to investigate what it would take to produce a true-quality driven forged wheel, and with the help of Yuya, VIP Modular Wheels was founded. Funded on their own accord, with nothing more then what they had saved personally, there wasn’t much in the way of a marketing budget. So how do you get the word out on a brand new product with no monetary means of doing so? You let the product speak for itself in it’s destined environment. Dave began building his 2002 Infiniti F50, running a set of his 22 inch wheels that required enough negative camber that tires become a monthly budgetary item. He then did the unthinkable. He drove it. Daily. This wasn’t a car built for magazines, or to be trailered to various shows. It was built to prove that aggressive fitting wheels can be utilized in a daily manner, and it didn’t take long before his friends bought into it. Dave and Yuya began teaming up with the likes of Kennedy at the body shop Platinum VIP and Freddy from the distributor Auto Fashion, and the vision began to slowly spread in a grass roots effort that led in action and not hype. In 2006, VIP Modular was invited to Hot Import Nights and given a 10 car booth. This was to be their first big show, and they needed to come out swinging. Lexus had just released the new LS or UCF40, and with the combined efforts of Platinum VIP, they rolled in 10 cars deep all sporting incredibly aggressive fitment. To say that both industry members and spectators took note, would be putting it mildly. Grass roots marketing was working and the Internet began to buzz with excitement about these big body Japanese cars with outrageous fitting wheels. Over the past 5 years, not much has changed in approach to how Dave and Yuya now run VIP Modular. The key to their success is accessibility and a willingness to go out into their marketplace and meet enthusiasts where they are at. A testament to that is meeting them last February and then only 4 months later, seeing Yuya and Kennedy from Platinum VIP fly out to Austin where we threw the 512 Project. Not only did they fly out but they were there with a booth meeting people in a scorching hot environment that I hope never to re-live. It’s a passion and a fervor that drives them to be fully engulfed with the lifestyle we have all adopted as our own. Another aspect of their success is that at heart they are all true enthusiasts with zero prejudice towards another make or model. A perfect example of that was rolling deep into Stance of the Union this past October in Sacramento. Their crew in LA, combined with one of their dealers Sonic Motorsports in the Bay area, made their presence known with 16 cars ranging from a well-executed Honda Accord to a Lamborghini Gallardo and everything you could imagine in between. It’s a passion for well-executed and built cars that drive VIP Modular and there is no mistaking it when engaging with them. While most wheel companies are focusing on the latest trends, and adapting their wheel line to meet the aesthetics of what is selling, VIP Modular remains focused on maximizing the most out of their 3-piece wheels. From the contours of the lines in their designs, to perfecting the fitment of their wheels without sacrificing structural integrity, they are solidified in their focus to the enthusiast. The future is quite bright, as VIP has been developing some new avenues that will be exciting when it comes time to announce them. They have had quite the journey so far, initially partnering with other groups to grow on a larger plane. Platinum VIP has been one of those partners, and now that both entities have achieved success, they have each decided to frontier new individual paths. Great things have come from their collaborations, and we expect great things to continue to happen now on their own merit. 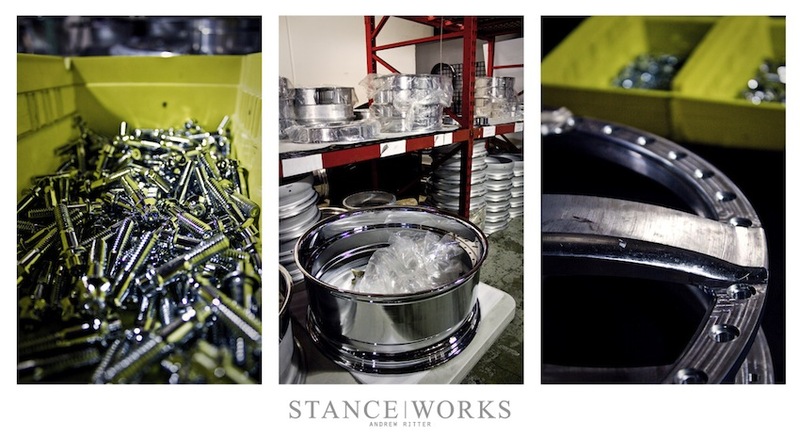 As for VIP Modular, we are happy to announce that part of their new direction is to become sponsors on StanceWorks. We are very excited about what’s in store and the exciting new direction VIP Modular is headed!